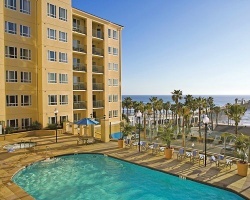 *Wyndham Oceanside Pier Resort* is a seven-story, double tower structure with 146 timeshare units and is Oceanside's tallest building. The resort is conveniently located adjacent to Oceanside Municipal Pier, perfect for arranging charter boat and fishing tours. A public promenade and plaza with retail shops, a restaurant, and outdoor cafe enhance the appeal of this resort for tourists and locals alike! 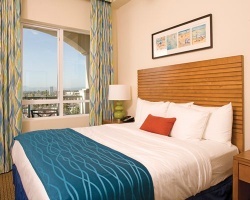 Visit www.clubwyndham.com to discover more! *RCI Gold Crown Resort* Featuring finely appointed floating accommodations. Annual usage is based on points, with 250,000 points per year included in the sale. 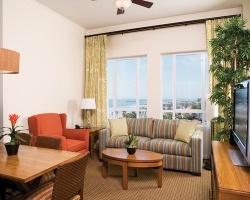 Points can be used to stay at this wonderful resort or anywhere in the Wyndham network. For more information or to make an offer, please submit the inquiry form.